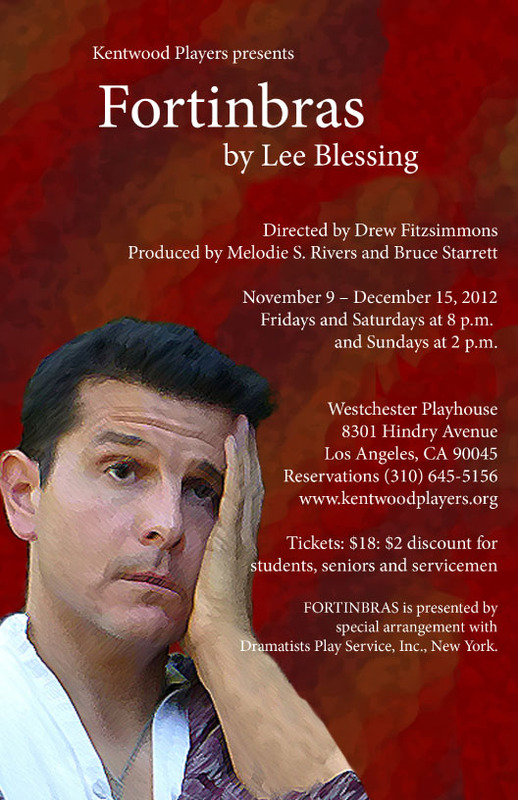 Full of contemporary wit and language, Fortinbras takes up where William Shakespeare’s Hamlet left off. When the lights go up, Hamlet dies and Fortinbras rushes in where flights of angels fear to tread. “What’s all this?” is his official reaction to the bodies. And no one is more tickled than he by news of the royal succession. “How many people walk in the door,” says he, “and — boom, they’re king?” He devises the best possible media blitz to legitimize his ascension to the throne of Denmark, but in this political farce, Kingship is just not all it’s cracked up to be! And how can you possibly rule a country when ghosts from the past keep popping in to haunt you? Chosen by Time magazine as one of the year’s ten best plays for 1991 and inescapably relevant to today’s political scene during this election year, Fortinbras cannot help but raise questions about authority and leadership, with mocking (and loving) reverence for Shakespeare’s vision and characters, but prior knowledge or familiarity with Shakespeare is absolutely not required to enjoy the play. “Where we suffered and wailed at the consequences of Shakespeare's tragedy, we can laugh along with Blessing at what follows in its comic wake…Shakespeare himself would have loved it.” —Drama-Logue. of Truth, Justice and the Shakespearean Way. Ophelia demonstrates to Fortinbras that women never truly hit their sexual peak until after death. When Horatio crumbles under the immeasurable burden of truth, Fortinbras must fight for his lies. To stab or not to stab, that is still the question for Hamlet. Gertrude and Claudius try to warn Fortinbras of the drastic change in his Polish maidens. Some ghosts are polite enough to remain in the closet, but not these. Fortinbras tries to convince Horatio to just go with the flow for once. Laertes begs Fortinbras to respect the boundaries between the living and the dead. Fortinbras' political machinations do not align with Horatio's lofty ideal of truth. Hamlet and Ophelia, together again in the hereafter. A love triangle should never involve more than one dead person. Fortinbras lends an ear to Polonius. Hamlet speaks to Fortinbras of the importance of being earnest. From atop Elsinore Castle, Fortinbras surveys his new kingdom. After hearing the true story of Hamlet, Fortinbras creates his own version of the "truth"
to promote himself as the new, rightful King of Denmark. Gertrude and Claudius beg Fortinbras for their salvation. asking him to respect the boundaries between life and death. not wanting to live among the poorly dressed Danish peasants. making Fortinbras' job of ruling Denmark hilariously impossible. Ghosts outnumber the living at Elsinore Castle. "Don't tell me you speak Polish?" Hamlet charms the Polish Maidens away from Fortinbras. Hamlet pleads with Fortinbras to tell his true story.